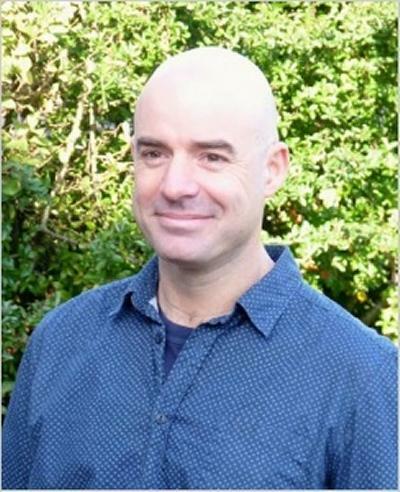 Dr James G Dyke is a Visiting Academic within Geography and Environmental Science at the University of Southampton. I model the Earth system in order to try to understand how it works and how humans interact with it. I joined the University of Southampton in 2011 based in the Agents, Interaction and Complexity group within Electronics & Computer Science. My main role was as a tutor and then Acting Director of the Institute for Complex Systems Simulation Doctoral Training Centre. I transferred to Geography & Environmental Science in August 2014. My previous job at the Max Planck Institute for Biogeochemistry was centrered around the Helmholtz Alliance project Planetary Evolution and Life that was coordinated by the German Aerospace Agency. I am still a member of the NASA Astrobiology Focus Group Thermodynamics, Disequilibrium and Evolution. More recently I've become interested in how a particular species is affecting the Earth and what that may mean for life now and in the future. Anthropogenic Climate Change has become something of a cause célèbre but other impacts that Homo sapiens are having on the Earth system are arguably as profound and long lasting. I'm a co-chair of Sustainability Science Southampton which is an internationally recognised centre of interdisciplinary research excellence advancing the understanding of sustainability science towards alleviating some of society's global dilemmas. Research keywords: complex systems, Earth system science, ecology, evolution, non-equlibrium thermodynamics, socio-ecological systems, systems dynamics. Dyke, J. G., Gans, F., & Kleidon, A. (2011). Towards understanding how surface life can affect interior geological processes: a non-equilibrium thermodynamics approach. Earth System Dynamics, 2(1), 139-160. Dyke, J. G., & Kleidon, A. (2010). The Maximum Entropy Production Principle: Its Theoretical Foundations and Applications to the Earth System. Entropy, 12(3), 613-630. Wood, A. J., Ackland, G. J., Dyke, J. G., Williams, H. T. P., & Lenton, T. M. (2008). Daisyworld: a review. Reviews of Geophysics, 46, RG1001. McDonald-Gibson, J., Dyke, J. G., Di Paolo, E., & Harvey, I. R. (2008). Environmental Regulation Can Arise Under Minimal Assumptions. Journal of Theoretical Biology, 251(4), 653-666. Zhang, W., Gowdy, J., Bassi, A. M., Santamaria, M., DeClerck, F., Adegboyega, A., ... Wood, S. L. R. (2018). Systems thinking: an approach for understanding ‘eco-agri-food systems’. In The Economics of Ecosystems and Biodiversity (TEEB): TEEB for Agriculture & Food: Scientific and Economic Foundations Geneva: UN Environment. Weaver, I. S., Dyke, J. G., & Oliver, K. I. C. (2014). Can the principle of maximum entropy production be used to predict the steady states of a Rayleigh-Bernard convective system? In R. C. Dewar, C. H. Lineweaver, R. K. Niven, & K. Regenauer-Lieb (Eds. ), Beyond The Second Law: Entropy Production and Non-Equilibrium Systems (pp. 277-290). New York, US: Springer. Dobbie, S., & Dyke, J. G. (2015). The use of participatory methods & simulation tools to understand the complexity of rural food security. In K. Schreckenberg (Ed. ), Sustainable Development Challenges in the Arab States of the Gulf (pp. 170-192). Berlin, DE: Gerlach Press. Chavez, V. A., Doncaster, C. P., Dearing, J. A., Wang, R., Huang, J-L., & Dyke, J. G. (Accepted/In press). Detecting regime shifts in artificial ecosystems. ECAL2013: 12th European Conference on Artificial Life, Italy. Weaver, I. S., & Dyke, J. G. (2013). Tipping points in complex coupled life-environment systems. Paper presented at 12th European Conference on Artificial Life (ECAL 2013), Italy. Weaver, I. S., & Dyke, J. G. (2012). A novel approach to analysing fixed points in complex systems. Paper presented at European Conference for Complex Systems 2012, Belgium. Dyke, J. G. (2010). The Daisystat: A model to explore multidimensional homeostasis. 349-359. Paper presented at Artificial Life XII: Twelfth International Conference on the Synthesis and Simulation of Living Systems, Denmark. Dyke, J. G. (2008). Entropy production in an energy balance Daisyworld model. 189-196. Artificial Life XI: Proceedings of the Eleventh International Conference on the Simulation and Synthesis of Living Systems, . Dyke, J. G., McDonald-Gibson, J., Di Paolo, E., & Harvey, I. R. (2007). Increasing complexity can increase stability in a self-regulating ecosystem. 133-142. Proceedings of IXth European Conference on Artificial Life, ECAL 2007, . Dyke, J. G., & Harvey, I. R. (2006). Pushing up the daisies. 426-431. Artificial Life X, Proceedings of the Tenth International Conference on the Simulation and Synthesis of Living Systems, . Dyke, J. G., & Harvey, I. R. (2005). Hysteresis and the Limits of Homeostasis: from Daisyworld to Phototaxis. 241-246. Proceedings of VIIIth European Conference on Artificial Life, ECAL 2005, .